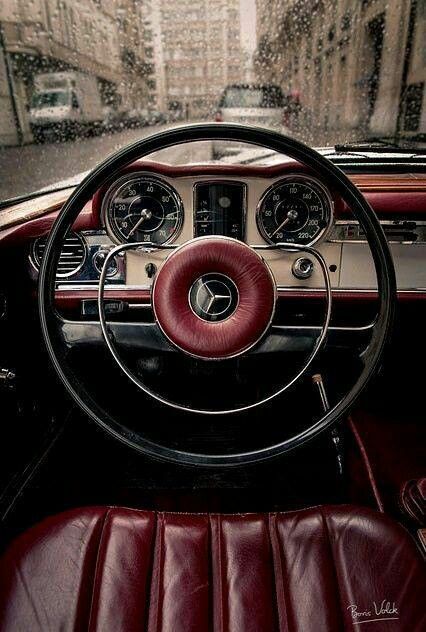 That's the interior of a Mercedes W113-type (230SL, 250SL, 280SL). Mine is a blue interior. Those old Benzes had more leather than LLs bedroom closet...or so I've been told.